OLD PARKED CARS. 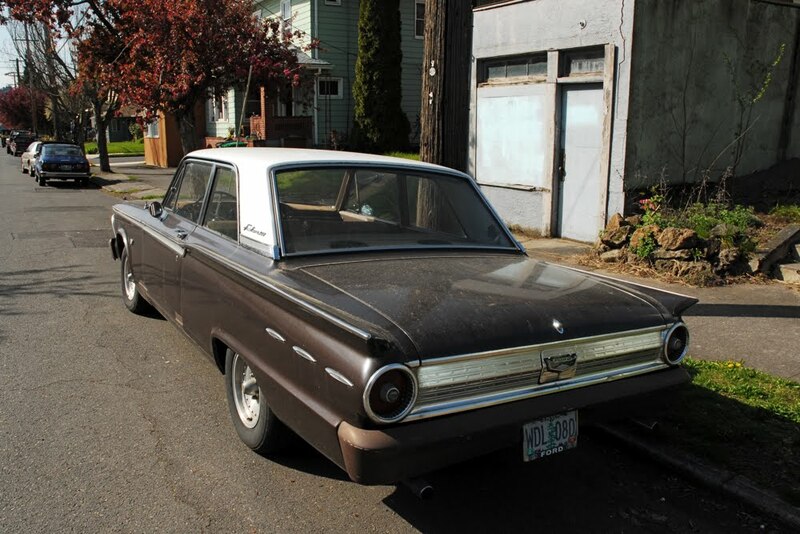 : 1962 Ford Fairlane 500.
my second thought, "wow, lookithat fin, how fresh. 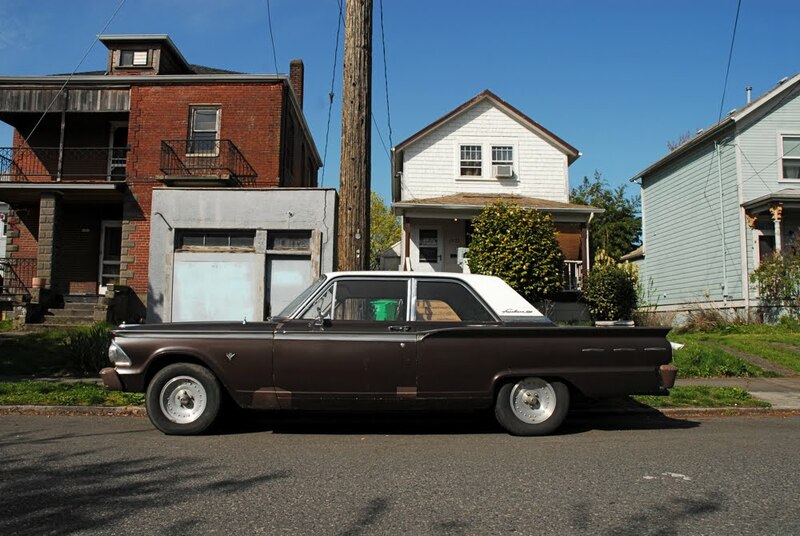 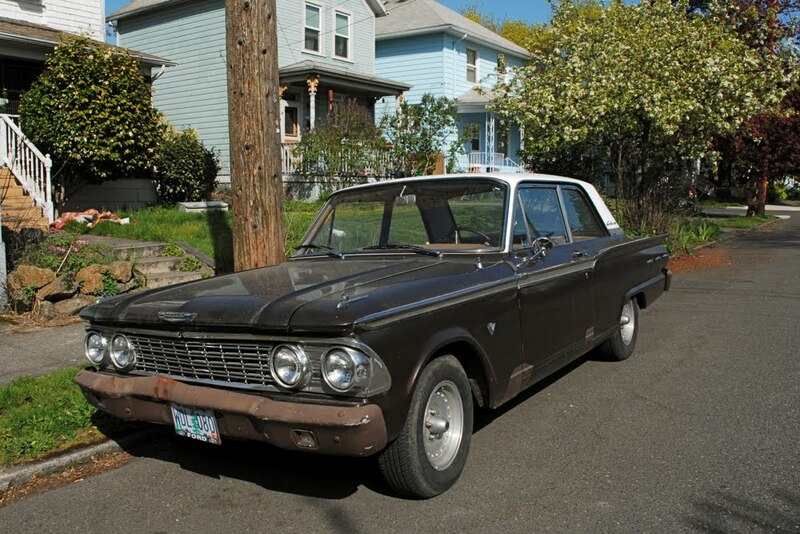 i wonder if this is the first fairlane we've documented of this generation." 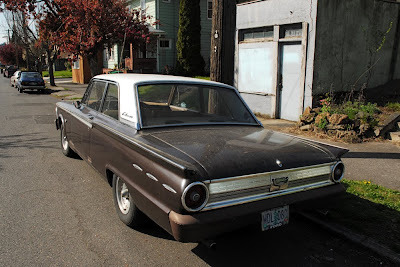 and lo, pretty much every fairlane we've shot is the same generation with those same fins. i like it a lot, even with imminent rust issues.